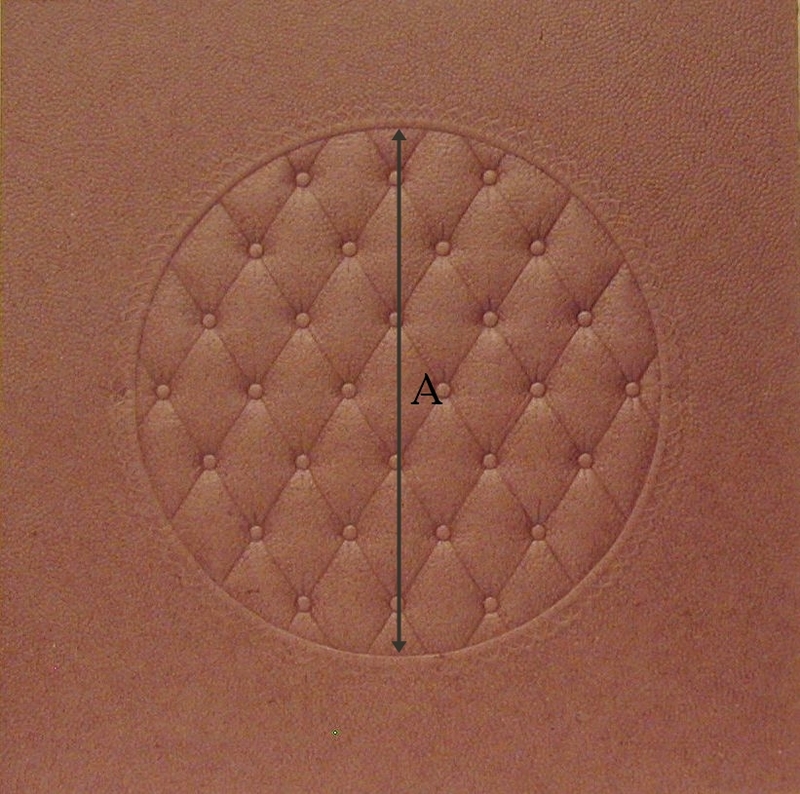 This fiber seat board has an embossed, tufted design. This pattern is not molded to fit down into a chair seat. It will simply rest on top & can be used with any chair seat. Front to back (A): 10"
Untrimmed Seat: 18" x 18"
Front to back (A): 12 3/4"